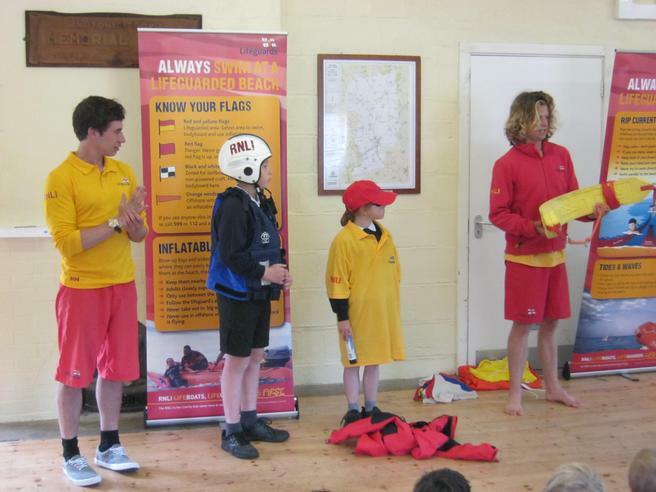 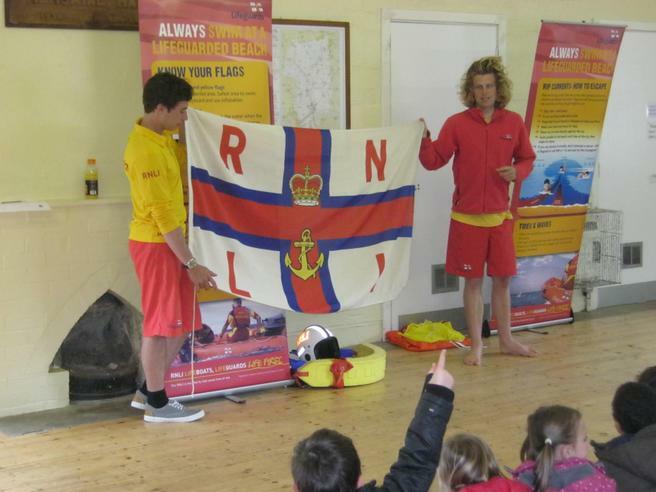 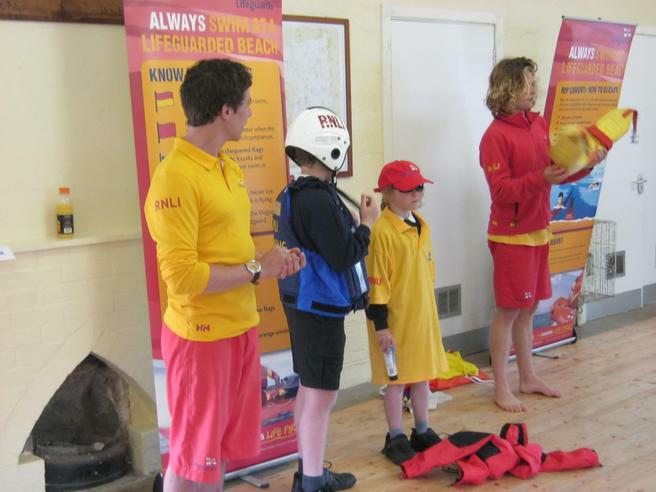 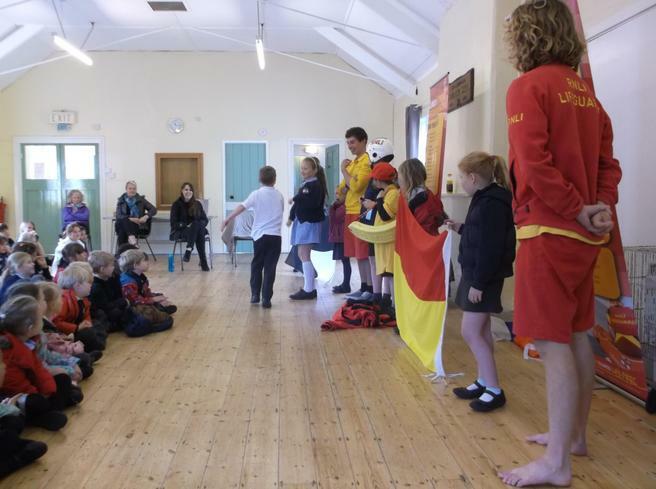 Children and staff have enjoyed a ‘Meet the Lifeguards’ visit today from local RNLI lifeguards. 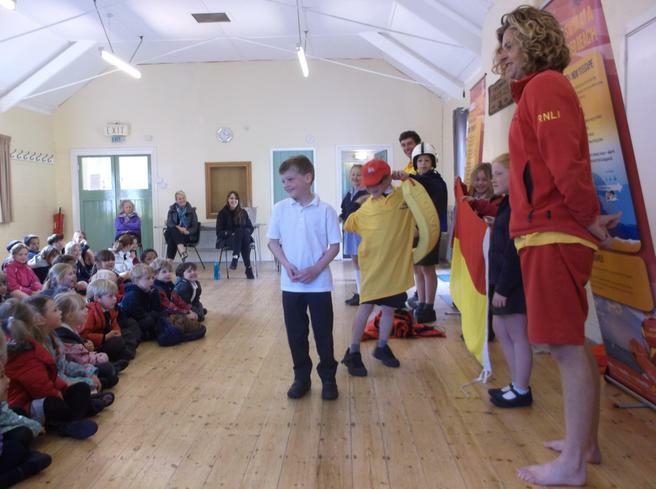 As the weather improves, and with the summer season approaching, visits to the beach for a swim to cool off after a busy day in the classroom are an almost daily event. 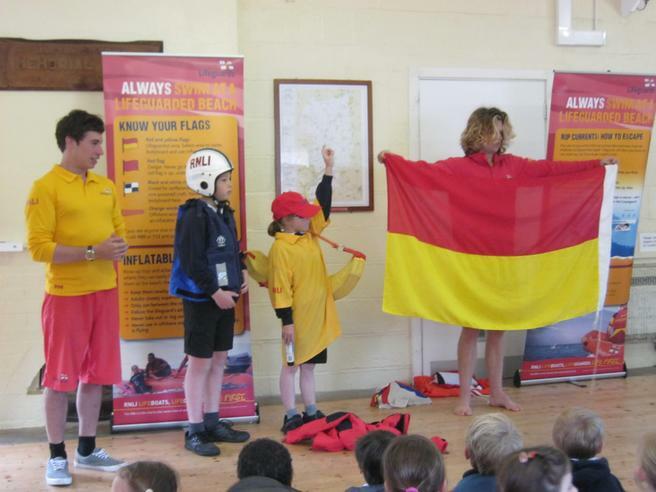 It is essential therefore, that everyone knows the importance of beach safety and who they will be able to go to should they need help. 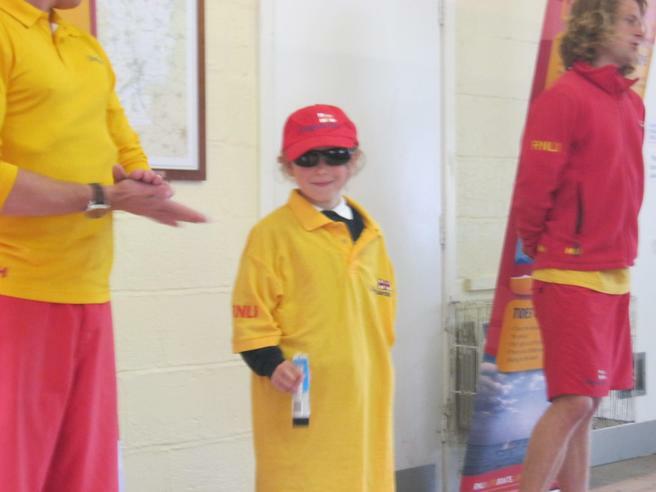 We were all reminded of the importance of always using sun cream and that we should wear sun hats. 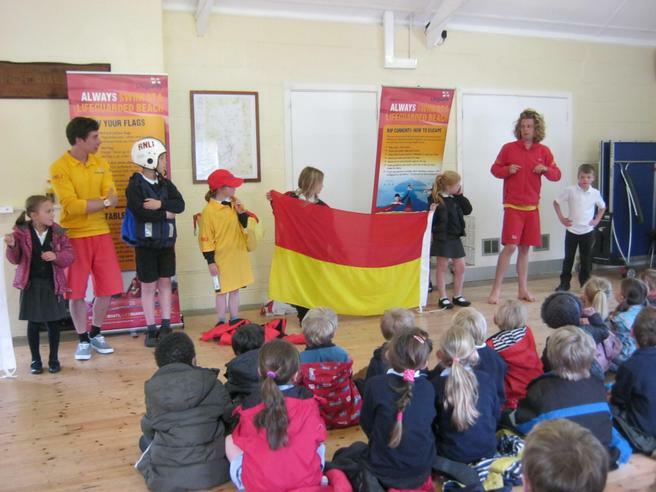 It was also explained to us about only swimming where it is safe to do so and what beach toys and equipment are safe to use in the sea.......and what isn’t! 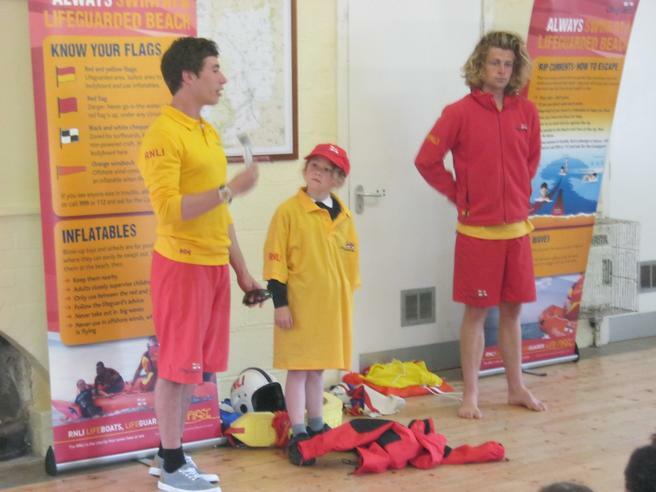 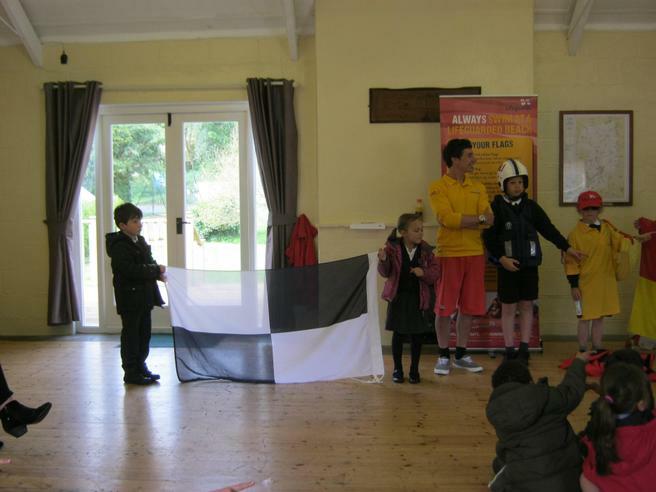 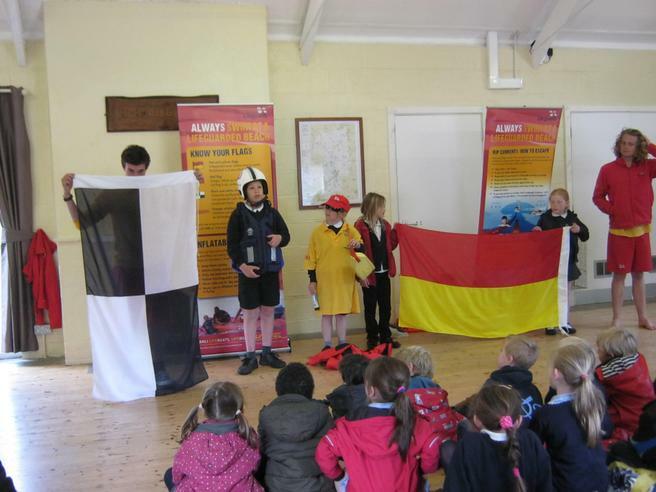 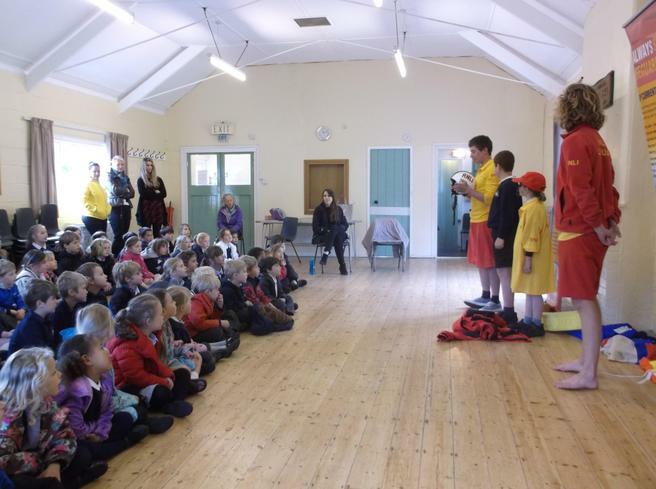 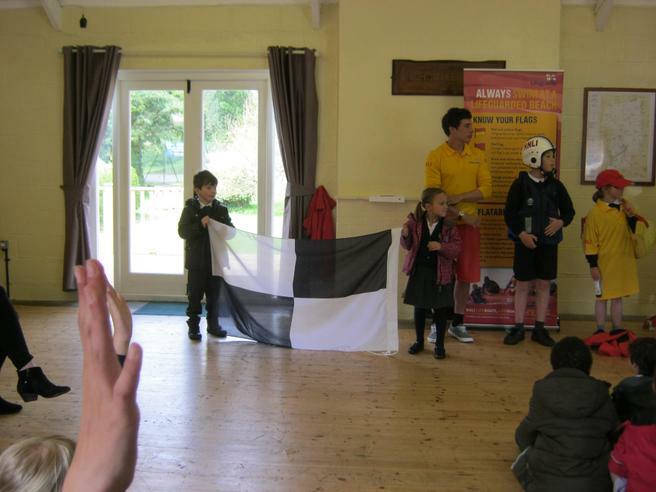 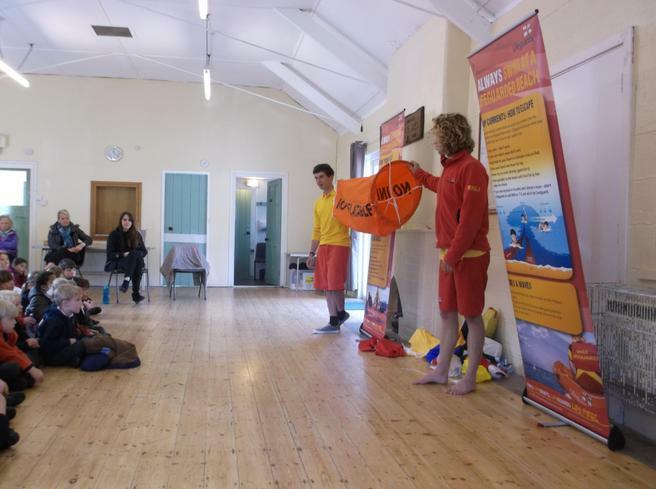 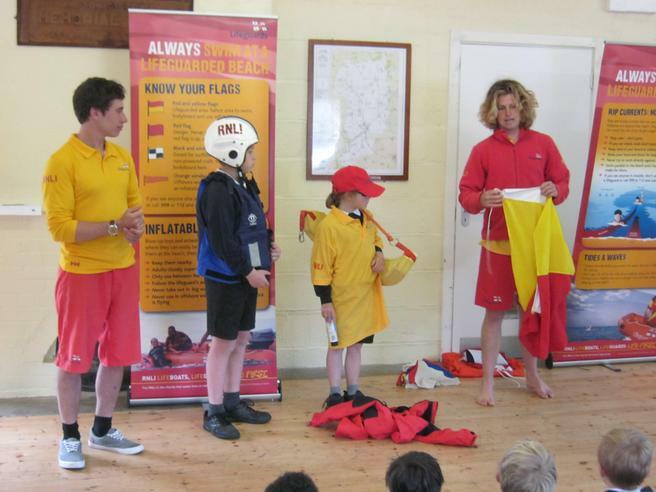 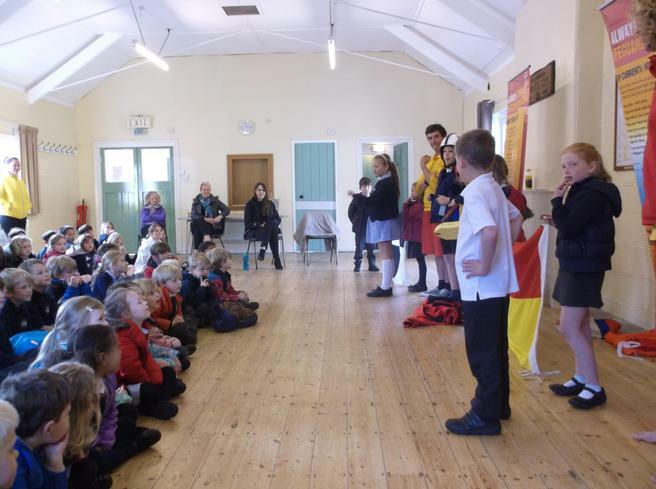 Everyone thoroughly enjoyed this visit - the children particularly enjoyed being allowed to try on some of the Lifeguard’s protective clothes – and we are sure that we will be able to share what they have learnt with their families and friends.